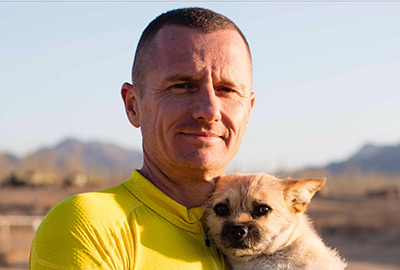 Racing across the Gobi desert ultramarathoner Dion Leonard was joined by a small stray dog who ran with him for 80 miles. At the finish, he launched a crowdfunding campaign to help bring Gobi back to the UK. Meet these internet sensations and hear the true story behind their heart-warming friendship and the internationally bestselling book, Finding Gobi.